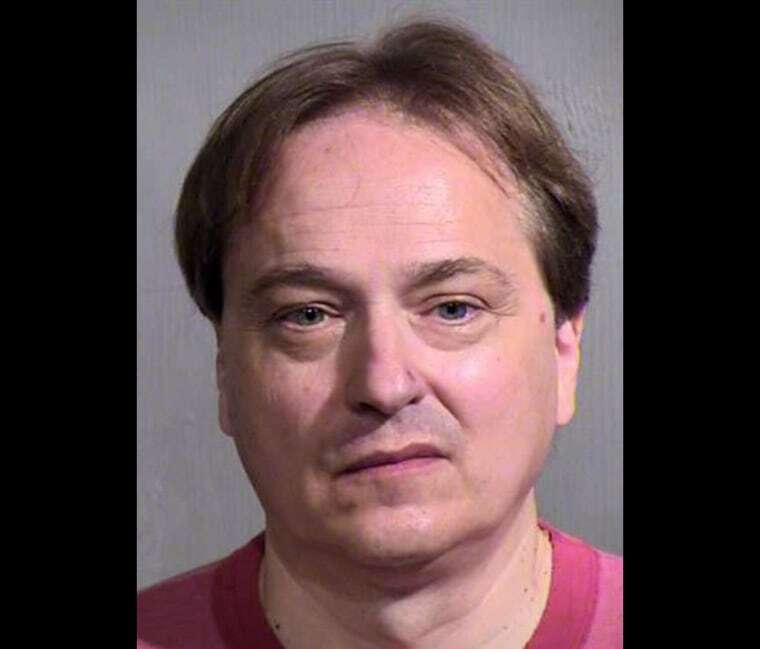 A brain scientist was arrested on suspicion of pointing a rifle toward a woman and her 17-year-old daughter inside a busy Phoenix airport terminal, police said Monday. Peter Steinmetz, 54, who works for the Barrow Neurological Institute, removed the AR-15 assault rifle from over his shoulder in a Starbucks at Sky Harbor International Airport on Friday and pointed it in the direction of the women, Sgt. Steve Martos of the Phoenix Police Department said in a statement. Arizona law permits the carrying of semi-automatic weapons in public areas, including the non-secure zones of airports.